Everyone loves a good green space, especially when the sun manages to shine in London. Bloomsbury is a neighborhood with an abundance of landscaped squares. There are plenty of ideal areas to choose from for your run or picnic, whatever strikes your fancy! Grab a coffee beforehand at one of these spots, and a nice refreshing drink after - the perfect day out in Bloomsbury. Bloomsbury Square: The basics of Bloomsbury square have been around since the 1660’s, and has since been redesigned several times. It features oval tree lines and pathways, and is the perfect space for an after-work run. Russell Square: Russell Square has received multiple awards for its beautiful landscaping. It also holds a great cafe, drawing in many locals and tourists alike for lunch on manicured lawns and next to pretty blooms. Gray’s Inn Gardens: Also known as “the Walks,” the Gardens were originally laid out by Sir Francis Bacon. On a sunny day lines of trees cast dappled shade on the spacious footpaths, and make the space a perfect haven from the busy city around it. Brunswick Square Gardens: The former recreational space of an orphanage in 1739, Brunswick Square Gardens are tranquil and picturesque. The garden is also home to a “Great Tree of London,” according to the charity Trees for Cities. If you have children in tow, a play area is just around the corner in Coram’s Fields. Gordon Square: A picturesque garden, this square was put to multiple uses since its original design in 1800. Named after Lady Georgina Gordon, this square features mature trees, a well-maintained landscape, and winding footpaths. We hope you're enjoying our neighborhood guides as part of an expansion of our London Relocation Guide! Moving to Bloomsbury? What are you looking forward to most of all? 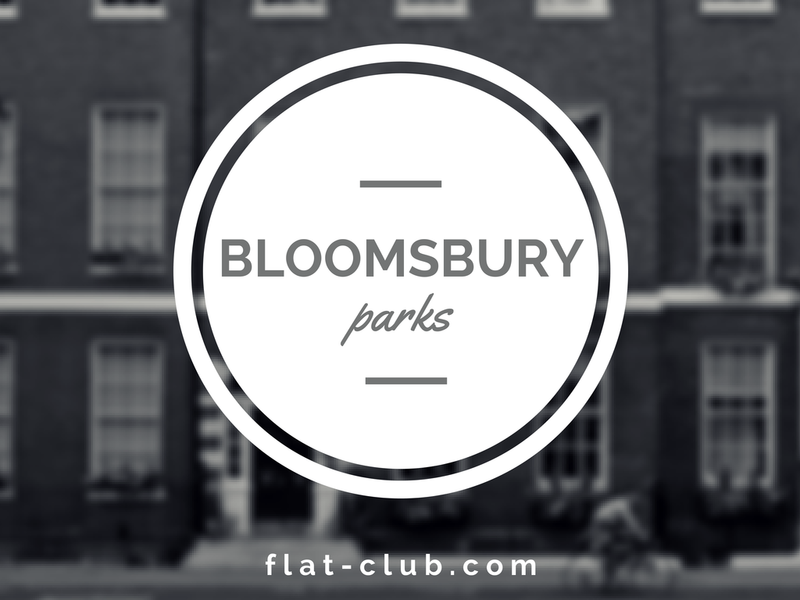 Visit FlatClub to find temporary accommodation - just perfect for exploring the area! What Happens When I Pay With My Credit Card?